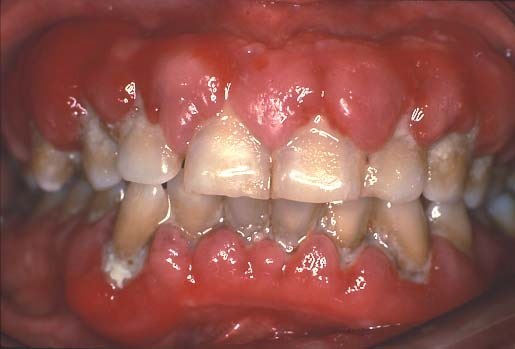 Disorders of the gum are a common clinical finding and may be due to local disease or a manifestation of a systemic disease. As a side effect of chemotherapy and radiotherapy. Clinical Features: Periodontal disease is probably the most common factor causing bleeding from the gums. 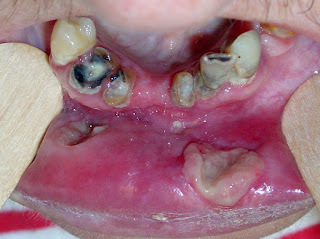 Poor hygiene is usually obvious from the condition of the teeth . 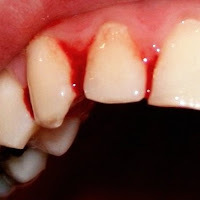 Infection may cause the patient to complain of red, inflamed gums, which bleeds spontaneously or on brushing the teeth. The patient may give history of malignancy for which they have undergone either chemotherapy with associated blood dyscariasis or local radiotherapy. 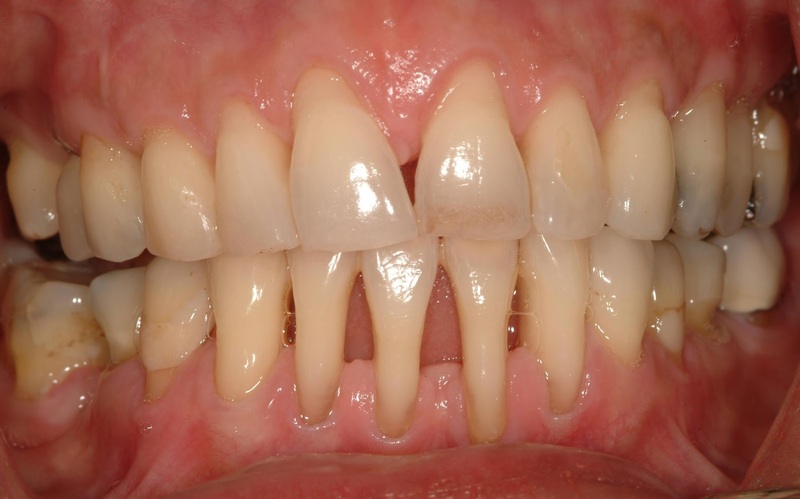 In Gingival hyperplasia the gum hypertrophy predominantly involves the interdental papillae. 4. Lead Poisoning: The gingiva become inflammed, swollen and bleed easily with a characteristic blue line at the gingival margin. Other signs and symptoms of lead poisoning may be present systemically like skin pigmentation, vomiting, diarrhea and anemia. 5. Malignant Ulcers On the Gums: In case of malignancy patients may present with generalized weakness and systemic illness. 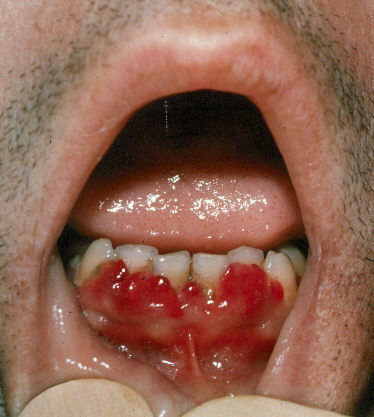 There is associated lymphadenopathy, and the ulcer is non healing and present for long duration. 6. Scurvy: Rarely seen , in elderly neglected individuals or malnourished children in developing countries. It is due to deficiency of Vitamin C .